Bear, a fast, lightweight and lovely note-taking app for iOS and the Mac, has been building a following over the past year or so. The app's excellent design, small but essential feature set and steady stream of updates have made it worth its subscription cost ($14.99 per year or $1.49 per month, though you can get most of its features for free). Today, a pretty major update is rolling out to the iOS app: Bear now supports sketching. In keeping with Bear's focus on essentials, the sketching feature includes two different brushes, each with three different widths and a variety of colors. You can use your finger or a stylus, including the Apple Pencil on the iPad Pro, and drawings sync across your iPhone, iPad and Mac provided you're a subscriber. 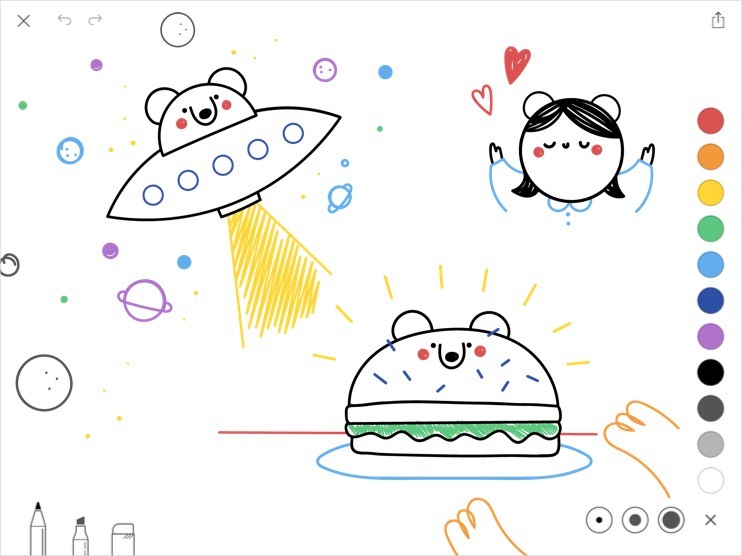 But you can only create and edit drawings on the iPhone or iPad; on the Mac you can just view your scribbles. Those images live as attachments to text notes just like any other picture you bring into Bear. Another iOS-only feature is stickers for iMessage, because why not? As you might expect, they encompass a cute bear doing a variety of cute things. The last little update pertains to the app's visual themes -- now, when you change the app's theme, it'll also change the home screen icon on your phone or the dock icon on your Mac. But the main attraction is obviously sketching. While I don't want Bear's developers to add too many features and make the app into a bloated monster, pretty much every notes app out there (including Apple's Notes app) supports drawing to some extent. Having it in Bear just makes good sense.